Photo by Sierra Lutz, Island Waves. Supporters of the PERIOD movement march across campus to spread awareness chanting, "Hey, hey! Ho, ho! Period poverty has got to go!" 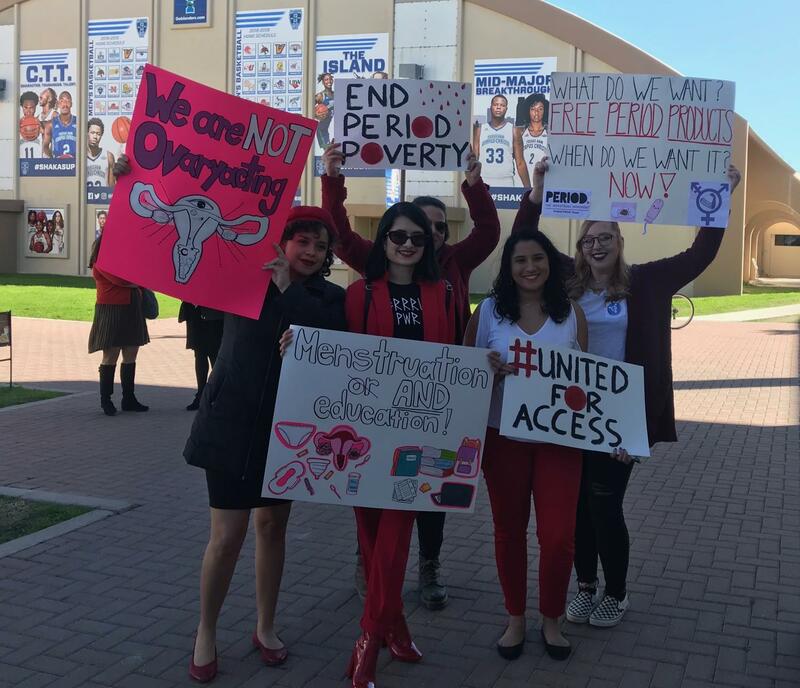 On Thursday, Jan. 24, the Islander Feminists held a march across campus to spread awareness and end period poverty. 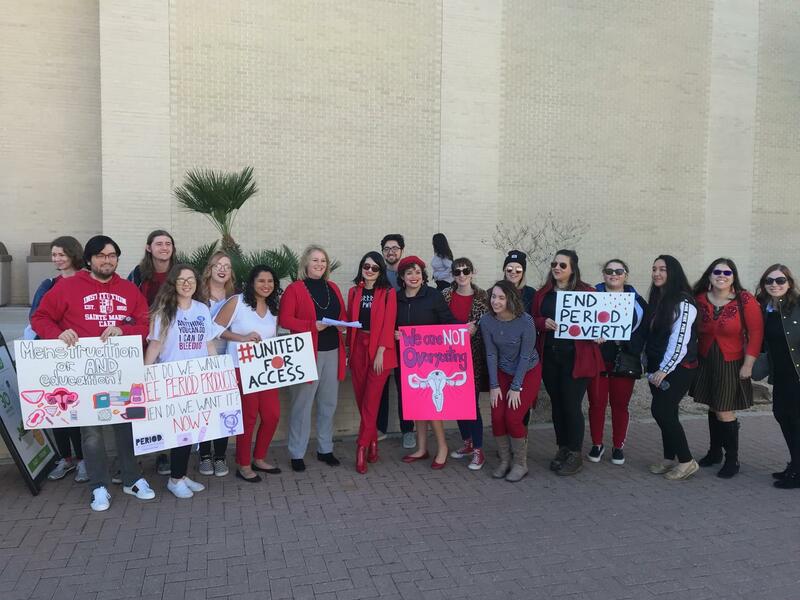 In December of 2018, the Islander Feminists began a petition to bring free period products on campus, and today, they got to not only spread awareness but also received the good news that products will be coming soon. Photo by Sierra Lutz, Island Waves. These marchers are not “overyacting,” and are excited about bringing free period products on campus. Tori Foss, the social media manager for the Islander Feminists, was glad to see how her organization is making waves across campus and meeting students’ needs. 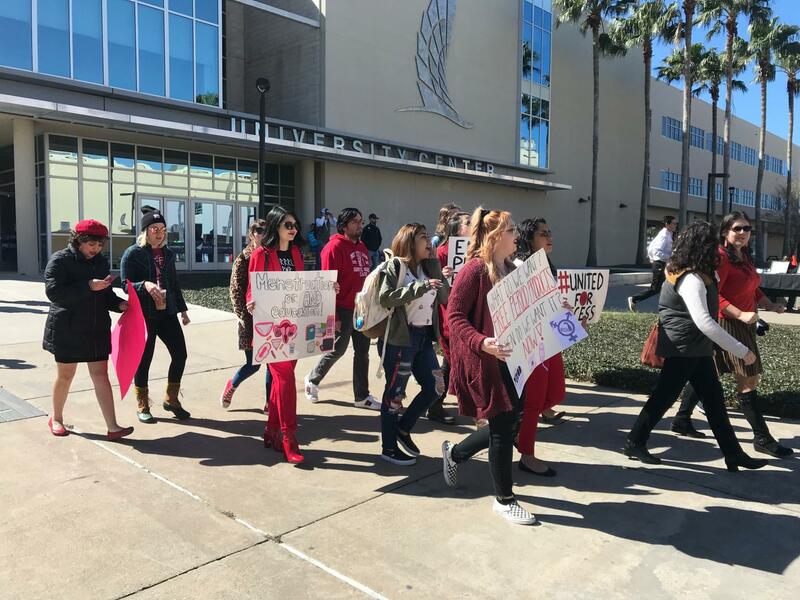 Ashley Arevalo, president of PERIOD Corpus Christi and Islander Alumna, was at the march and was glad that she could make a difference on the campus even after graduating. Photo by Sierra Lutz, Island Waves. Islanders, staff, faculty and community members come to support the PERIOD Movement on TAMU-CC’s campus. Quintanilla also mentioned that they will be partnering with the Islander Green Team on this initiative in hopes to maintain a “green” campus.